Did you know that using a foreign exchange broker on the purchase of a €1.5m euro property could save you as much as £32,000! Read this guest blog from Cornhill FX to find out more. The Viewing is delighted to introduce Cornhill FX, a leading foreign exchange company in London, to share with you their valuable insights into foreign exchange markets and how an exchange broker will provide you with yet more savings on the purchase or sale of an international property. Brexit: 2016 was a highly unpredictable year following Brexit and Trump’s election; resulting in increased volatility in the FX markets. 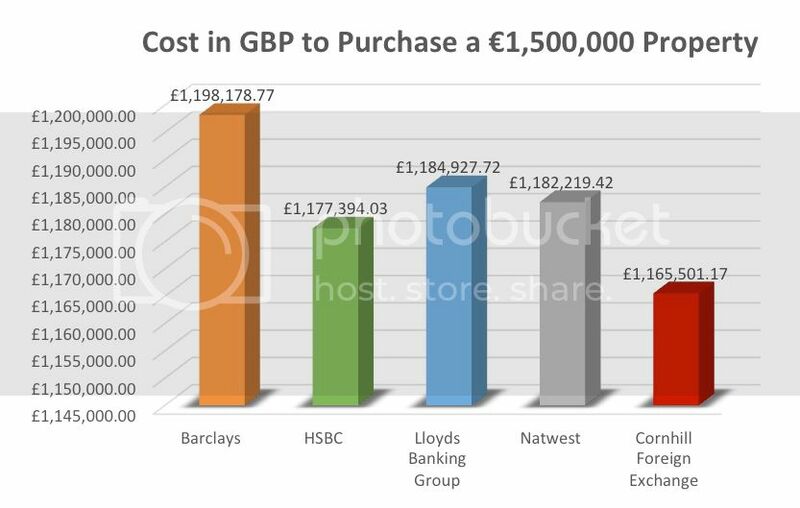 As seen in the graphs below both GBP/EUR and GBP/USD fell dramatically following the Brexit result, losing 17% and 19% of their value against the Euro and USD respectively. It is a great time for property owners in the Eurozone to be selling their property! Looking at the GBP/EUR graph, one can see that post selling your property, exchanging your Euros will lead to you having a lot more Sterling sitting in your bank account. US Election: Following the shock US election result, companies will now be aiming to predict if the promises and pledges Trump made throughout the election campaign will translate into real economic policy. Donald Trump has promised to cut regulation, reform tax laws and protect American jobs but at the deprivation of free trade. These policies may also lead to an appreciation of the dollar, higher interest rates and higher inflation. And, what does all this upset mean for the 2017 Outlook? Market uncertainty still weighs heavily on the global FX markets. Circa 40% of EU countries are heading to the polls in 2017 in the wake of the political instability that followed the shock Brexit and US election results. Due to the uncertain outcome of these elections and the general feeling of discontent with the current political/economic situation, it is possible that we will see more volatility in the Euro market. Property sellers should take this news positively as it will increase interest from further a-seas. We have seen a steady increase in AUD/EUR and ZAR/EUR to mention a few currency pairs, since Brexit; and should see this continue over the year with the elections to come. So what’s the benefit of using a broker? With the fluctuations in the foreign exchange market, having an experienced broker guiding you and watching the markets can have a significant effect on the overall cost of buying and selling your property. Cornhill FX’s experienced team have extensive knowledge of the industry and will be able to keep you abreast of all market movement, allowing you to make a calculated decision on WHEN to trade. You will be allocated a personal dealer who will manage the process from start to finish. ON A PURCHASE OF A €1,500,000 PROPERTY CORNHILL FX COULD SAVE UP TO £32,000. To put this into perspective - £32,000 - have you thought what that could buy you? A fabulous new kitchen in your new home; cover running costs for the first two years of ownership; Purchase taxes paid. It would be nice to have one of those costs covered by such a saving no?! And a few more facts about foreign exchange that you may not know but could make your currency exchange all the more cost effective. Speed: All currency transfers are made using the SWIFT system, the fastest way to move funds globally. Transparency: The rate agreed includes Cornhill’s margin, there will be no hidden or additional charges. Protection: In accordance with the Payment Service Regulations, Cornhill FX segregate and safeguard all relevant client funds. Flexibility: Cornhill offer both Spot & Forward trades, which give the flexibility often required when confirming your property completion date. Spot Trades, the simplest of transactions: The simplest of transactions, which involves the purchase or sale of a foreign currency for immediate delivery. This can be on the same day, or up to three working days from the date the trade was executed. All currency payments transactions have cut off times, however the majority of payments are made on the same day as when your funds to settle the transaction are received by Cornhill FX Limited. Or, how about considering a Forward Trade? Cornhill FX also offer a forward trade facility, which allows clients to purchase currency at the current rate for a fixed date in the future. 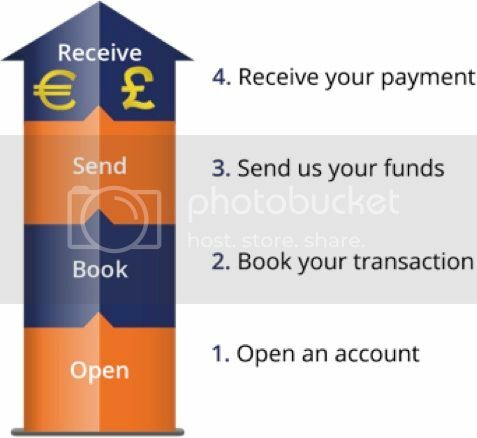 The main benefit of this service is that clients can price any future purchases or receipts of funds without any risk of the rate moving against them. There is no cost for booking a forward deal but we may ask for an initial margin sum to secure the rate, which is repaid on settlement. Despite the volatile times we are currently experiencing in the currency markets, with several European elections to come and article 50, set to be triggered on 9th March; Cornhill FX are here to help, whether it be getting you the best rate possible or simply keeping you informed with market movement. Or if you want to discuss your foreign exchange requirements. Please contact Nicholas Paul on the below details.